Infiniti models such as the FX45 will be sold in stand-alone dealerships. TOKYO - Wanting to avoid mistakes it made in the past, Nissan will develop a network of upscale Infiniti dealerships before it launches its luxury brand in Europe. That means Infiniti dealerships staffed with employees who are specifically trained to sell and service Infiniti models. Nissan does not want to repeat the mistake it made in Mexico where Infiniti models were sold and serviced by Nissan dealers. Infiniti customers are not getting the full luxury experience in Mexico, said Steve Wilhite, Nissan's senior vice president of global marketing. "In Europe and other countries around the world where we plan to introduce Infiniti, we have to build a Tier 1 luxury brand," Wilhite said. "We have to invest in a proper dealer infrastructure with proper training for sales people and technicians." Customers need to feel they are buying into something special, he said. The move into Europe is part of Nissan CEO Carlos Ghosn's push to turn Infiniti into a global luxury brand. Wilhite is very aware of the challenge that Infiniti faces in Europe. Toyota's luxury brand Lexus has had a tough battle against Europe's luxury big guns - BMW, Mercedes-Benz and Audi. Nissan launched its Infiniti brand in the US in 1989. Infiniti also has been introduced in South Korea, Mexico, Taiwan and the Middle East. "We made our mistakes, perhaps treating Infiniti as an opportunistic brand in these markets," Wilhite said. "In the future we have to take a more strategic approach." Russia gets the brand in October 2006. Carlos Tavares, Nissan's executive vice president of product planning, said he has high hopes for Infiniti in Russia. "You already see many privately imported FX45s and FX35s on the streets in downtown Moscow," he said. 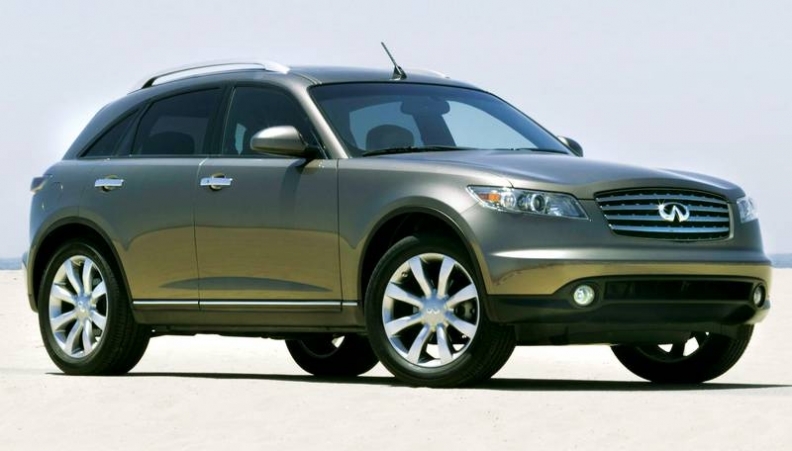 Tavares hinted that Infiniti's debut in western Europe and Japan will happen before April 2011. He said sales in Europe and Japan should begin sometime during Nissan's next three-year plan. The current plan ends in March 2008. The timing also has to be tied in to the renewal of the Infiniti lineup to further distinguish Infiniti's models from those made by Nissan. Will Europe get the i?